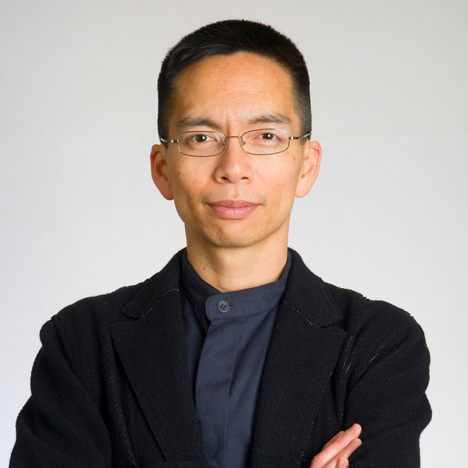 Design has become a "game changer" in Silicon Valley, according to a report by former Rhode Island School of Design president John Maeda, who says that designers are becoming essential to the success of tech companies. Maeda's 2015 DesignInTech report said a growing trend for large US tech companies buying smaller creative businesses was proof that design had become an integral part of the technology industry. "Businesses started by designers have created billions of dollars of value, are raising billions of dollars in capital, and VC firms increasingly see the importance of design," said Maeda's report, published earlier this week. The report identified 27 startups founded by designers that had been bought by businesses such as Google, Facebook, Adobe, LinkedIn, Dropbox and Yahoo since 2010. These included photo sharing app Instagram, blogging platform Tumblr and creative portfolio website Behance. The Japanese-American graphic designer's research also found that 20 per cent of the top cumulative-funded venture-capital investments that had raised additional money since 2013 had designer co-founders. Those companies included design e-commerce company Fab.com, image sharing platform Pinterest, news organisation Vice Media, skills learning service Lynda.com and home rentals website Airbnb. Maeda's report quotes a Dezeen interview with Airbnb co-founder Brian Chesky, who said that the company wasn't taken seriously at first because it was headed by designers. "[Silicon Valley] didn't think a designer could build and run a company. They were straight up about it. We weren't MBAs, we weren't two PHD students from Stanford. Being designers they thought we were people that worked for people that ran companies." Chesky and Airbnb co-founder Joe Gebbia graduated from the Rhode Island School of Design, where Maeda was president for six years before he left to join KPCB. Airbnb was valued at $13 billion (£8.8 billion) in October 2014. Maeda said that the consumer shift towards mobile technology had made design much more valuable to tech companies, . "The smartphone revolution brought design's value into the foreground," said Maeda's report, published to coincide with his talk at the SXSW festival in Austin, Texas, on Sunday. "We want to do in our palm, while walking, what we used to do on a big screen while sitting down at a desk. The interaction design challenges presented by that shift are huge," it said. "The mobile paradigm should be thought of as 'the always with you and in your face' paradigm. For that reason, a bad design will not just hurt once, but the hundreds of times you might use the bad design in a single day. That's a lot of unnecessary 'ouches'." "Moore's Law no longer cuts it as the key path to a happier customer," added the report, referring to the exponential growth pattern in computing power identified by Intel co-founder Gordon E Moore in 1965. Connected home company Nest, bought by Google last year, is one example of how design should be integrated into products from conception, rather than added on at the end as "cosmetic surgery", said Maeda. "To achieve great design, you need great business thinking/doing — to effectively invest in design — and you need great engineering — to achieve unflagging performance," added Maeda. Maeda joined Californian venture capital firm Kleiner Perkins Caufield & Byers (KPCB) as its first design partner in January 2014. He left RISD to lead KPCB's Design Council, a group of around 12 Silicon Valley designers that brings together and mentors upcoming design talent in the technology industry. He also works with the firm's Design Fellows mentorship programme, launched in 2012 to back internships for college students at startup firms. "Joining KPCB was an irresistible opportunity to work alongside talented investment professionals and entrepreneurs to elevate design to the forefront of leadership and innovation," he said when the appointment was announced. Since he started at KPCB, six other venture capital companies with headquarters on Silicon Valley's Sand Hill Road have also hired designers. All of these businesses specialise in providing financial support for startup companies they believe have potential for rapid growth. Maeda anticipated that this trend in venture capital recruitment was likely to continue. He also predicted that interest in designer-led businesses would carry on growing, with an increase in merger and acquisition activity and more access to financial capital. Maeda initially studied software engineering at the Massachusetts Institute of Technology (MIT) before completing a PhD in design at Tsukuba University's Institute of Art and Design in Japan.